I was teaching my Beginning Quilting with a walking foot class last weekend. I have reorganized the class to include a sampler, much like the way I reorganized my free motion quilting class. A couple of types of quilting that the students seemed to enjoy the most were the use of decorative stitches and echo quilting. Most of your sewing machine’s decorative stitches, and some of the utility stitches, can be used for quilting. Some times you will need to increase the stitch length to get an attractive look. 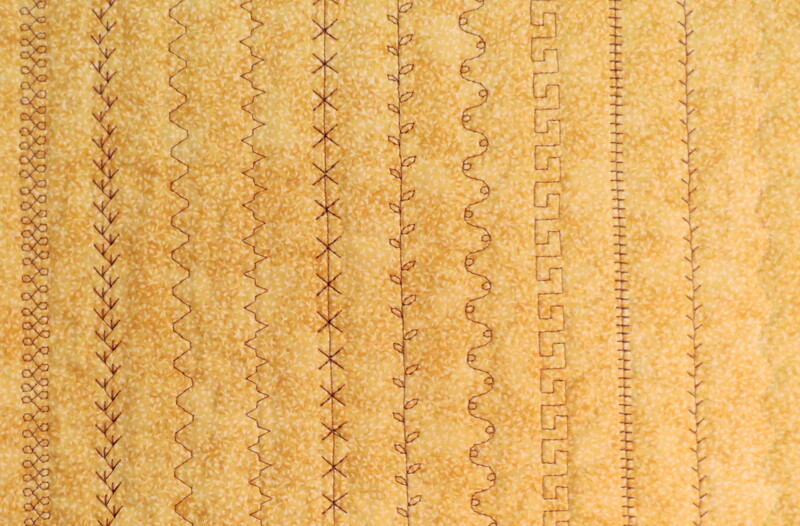 The photo below shows some of the decorative stitches I like for machine quilting. 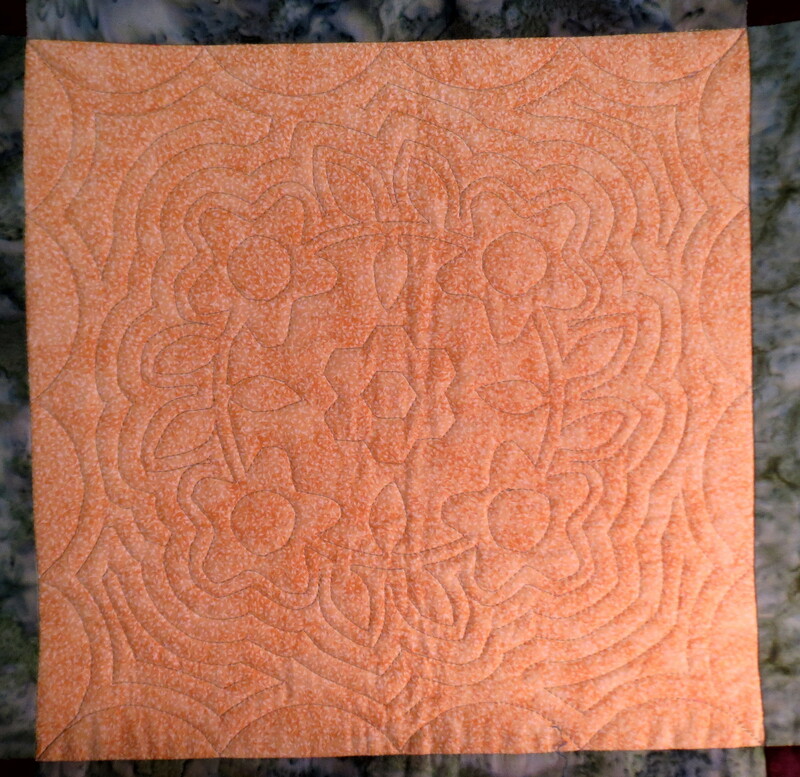 And the next photo shows an example of echo quilting around a fairly complicated pattern. Echo quilting is very attractive on a light colored background where the texture of the quilting can show (on the Classes page of this blog, see my photo in the class description of the Beginning Quilting with a Walking Foot class for an even better example). The initial center pattern is marked on the fabric and then the presser foot width is used as a guide to ensure even spacing of the echos. When planning the quilting of your next quilt, don’t forget how effective these kinds of quilting with a walking foot can be, especially if you still get stressed out by free motion quilting. This entry was posted in Quilting, Quilting with a Walking Foot and tagged decorative stitches, echo quilting, embroidery stitches for quilting, walking foot quilting on October 17, 2013 by Shirley at Mystery Bay Quilt Design.